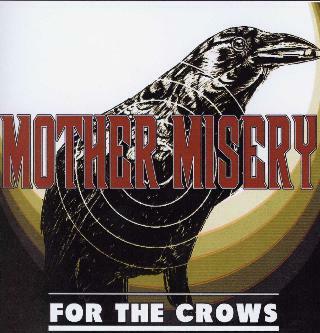 Mother Misery - "For the Crows"
This is the Swedish bands second EP since 2004. The band are playing their first gigs in Germany to support this Daredevil release in early 2006. The band plays a pretty straight up melodic hard rock sound with raw vocals. This EP contains 5 new tracks. The opening track is a bit inspired by Dozer in some ways. "Take a Good Look" is a pretty cool track with a cool guitar sound. Monster Magnet (later 90's sound) fans would like this one. "I Will Never Learn" is another very Monster Magnet inspired track. "For the Crows" is a 2½ minute straight up rocker! The CD ends with "Pray For Them Pigs". This one sounds cool when you crank it up as the opening guitar riff is quite a monster! A bit of a TOOL inspired track here. Check it out. I bet they rock live! For more information you can visit the Mother Misery web site at: http://www.mothermisery.com. Visit the Daredevil Records web site at: http://www.daredevilrecords.de.